Belly Up To Pure Barre. 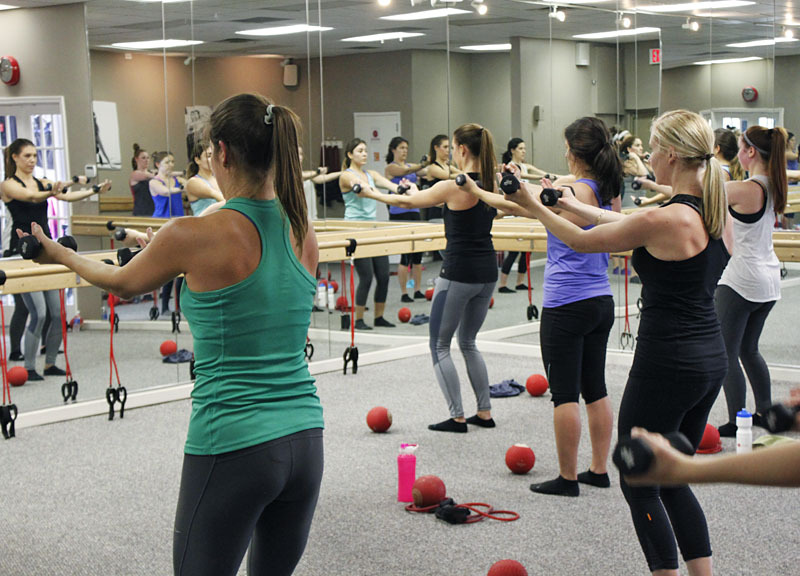 This week, we rose the bar at Pure Barre. 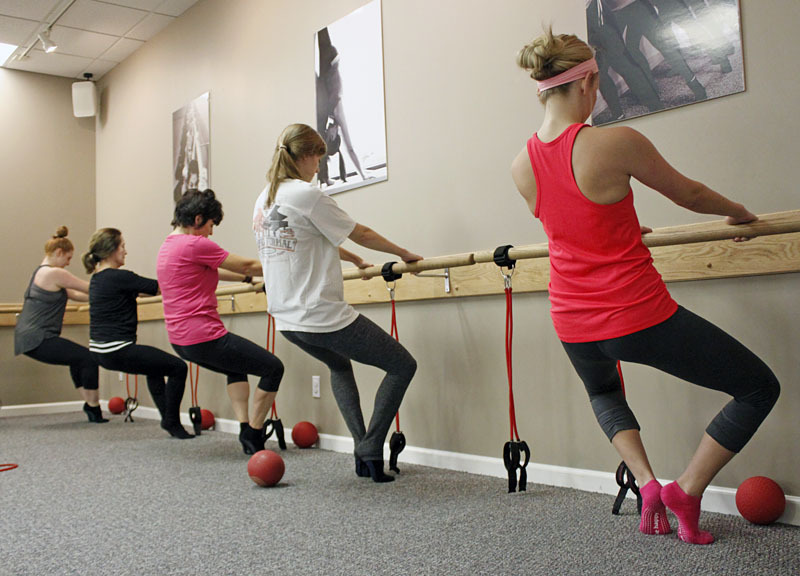 Fast Facts on Pure Barre. • Degree of Difficulty Scale For Beginners: 5 out of 10. • Calories Burned in One Hour: 400. • Muscle Soreness After The Fact: 7 out of 10. • Location: 5919 Greenville Ave, Dallas, TX 75206. 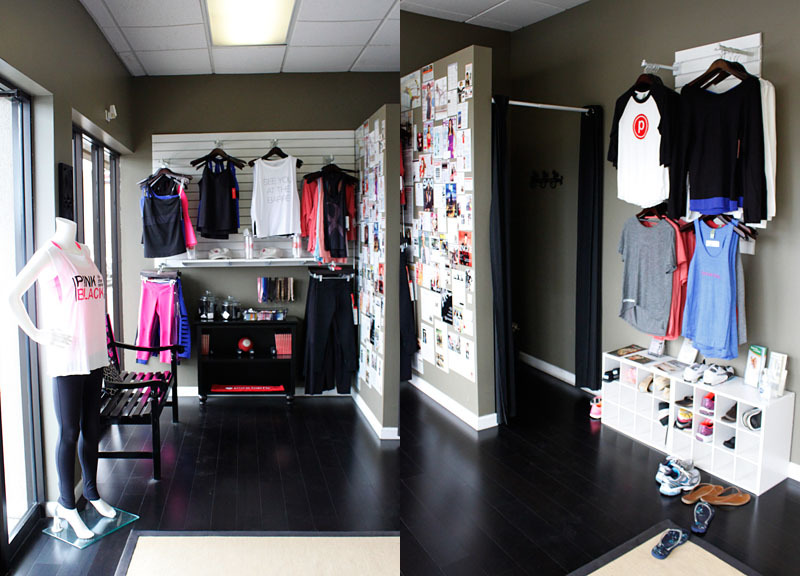 • Introductory Offer: $100 for one month unlimited classes, or $60 for two weeks. • Price: $175/month, $20/class, $95 for five classes, $175 for 10 classes, $250 for 15 classes, or $320 for 20 classes. Students and teachers get a 15 percent discount. After attending one of Pure Barres' upbeat and exhausting classes this past weekend, it's easy to see why Barre is beginning to take over the fitness world. 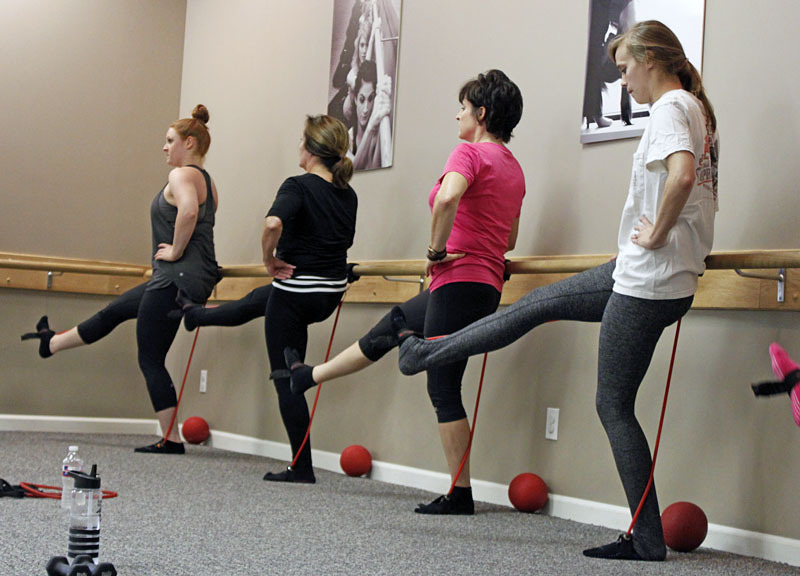 Although the class is designed around a ballet barre, the main reason the barre is provided is to give you support in performing your exercise moves. So don't worry, the only dance-related knowledge you'll need is a few foot positions that the instructor will make sure you grasp before moving on. Pure Barres' program is designed specifically for the female body, targeting the thighs, seat, back of the arms and abs. The class is packed with a series of isometric movements — a method of strength training in which the joint angle and muscle length do not change during contraction. By sticking to this form of exercise, it makes it easy for anyone of all ages and body types to participate. The instructors aren't the only ones excited about the program; the front desk girls, like Amelia Germain, even call themselves Barre Tenders. Germain started off as a student almost two years ago, and found herself coming back so often that she finally decided to make it a job. With nine locations in the DFW area, and their 10th location opening in Uptown next month, it's easy to get excited about a program that doesn't feel like you're killing yourself lifting heavy weights. 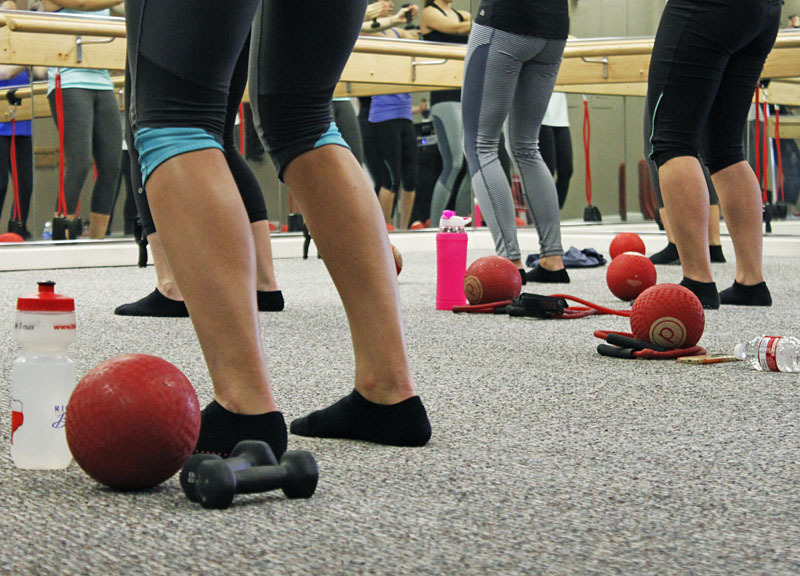 Pure Barre focuses on targeting specific muscles, gently and repetitively until you start to see a change and, trust me, just because you're barely moving doesn't mean that your muscles won't be shaking by the end of class. Each class has the same structure: warm up, weights, thighs, seat, abs, stretch. Each class will be different however, based on your instructor and which work out tools they've incorporated into their program for the day. Through the use of balls, bands, weights and music, you'll never get exactly the same class twice. Our instructor, Molly Mitchell, walked around class repositioning each student to their proper place to guarantee that no one would injure themselves or pull anything. 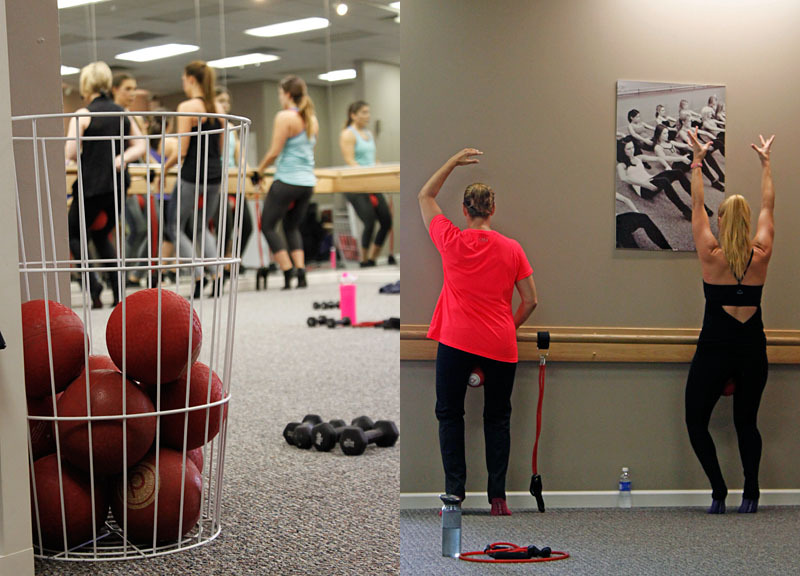 No matter one's current fitness level, Pure Barre makes it easy on anyone to get started. This program is ideal if you're suffering from a past injury, because the barre program is so protective to your joints. It's even popular for pregnant women because of how safe it is. If you're looking to bring the babies' daddy along with you to class, Pure Barre offers a recurring event called Bring On The Men every Valentines' Day to show your man just how strong you've become. And partly to laugh at them when they reach for the heavy weights and realize that it's not as easy as it looks. Overall, I'll give Pure Barre a B+. Previous ArticleThings To Do On Tuesday, October 21.